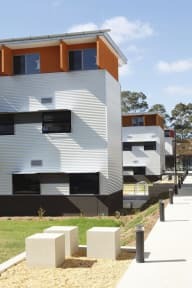 UWS Village Parramatta i Sydney, Australien: Reservér nu! Your booking is only confirmed upon receipt of your signed booking form and a deposit of 10% of your total cost (which is not refundable) within 7 Days. In the event that this is not received Aarons Hotel Sydney reserves the right to release the rooms. Payment is required, in full, 30 days prior to arrival. While we appreciate that changes to your group plans may occur at any time cancellation or amendments to rooms within 2 weeks prior to arrival will not receive any form of refund. When confirming event bookings with CLV Smart Stays, our terms and conditions need to be completed and returned, including a deposit to hold the space. 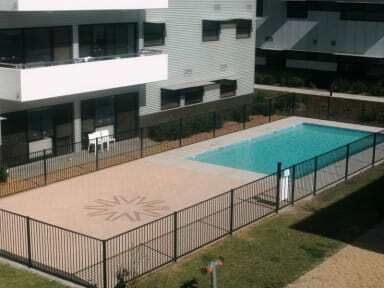 The deposit is 30% of the total accommodation and function room cost. UWS Village has a range of five and six bedroom units opened in January 2009. Modern, high quality furniture, stainless steel/granite finishes in kitchens and spacious bedrooms ensure that all areas within the Village provide a refreshing and comfortable environment for all groups to enjoy. The convenient location provides easy access to local attractions, including Parramattas Westfield shopping centre, one of the largest shopping malls in the region.